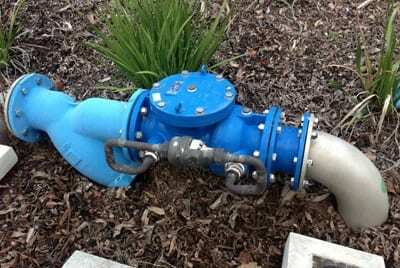 Backflow prevention devices require testing to ensure contaminated sources do not enter the water supply. To ensure devices operate effectively and protect the water supply from backflow, councils require devices to be tested annually. Testing ensures that your backflow device is maintained to an acceptable standard and continues to operate effectively. A properly maintained backflow device also ensures no water pressure problems inside your building. Adept plumbing and gas can test your backflow prevention devices complete a test report submitting a copy to council and the client.. We also install them where required e.g. swimming pools, childcare centers, schools, sports grounds, shopping centers, household sprinkler systems etc. Thermostatic mixing valves or T.M.V’s are installed at premises where there is an increased of scalding through contact with hot water at sanitary fixtures. IE aged care facilities and early child care centers. They blend hot water with cold to ensure constant safe water temperatures and prevent scalding. 60 Degree water can cause third degree burns in five seconds. 45 Degree water will take three hours to give a third degree burn. Annual testing and maintenance will ensure the safe and correct operation of thermostatic mixing valves preventing dangerous conditions developing.